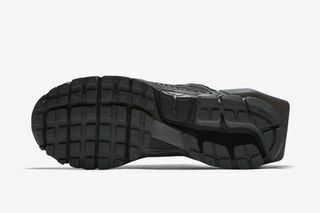 Key Features: The mixed-material upper features A-COLD-WALL* branding on the toe and an architectonic heel counter. 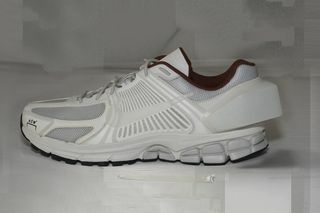 A Zoom midsole with Cushlon technology completes the look. 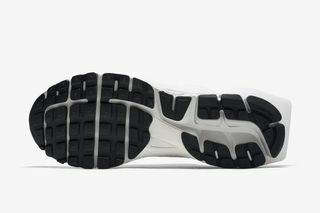 The sneaker comes in two colorways: black and white. 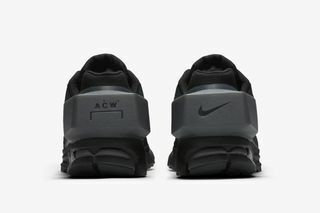 Editor’s Notes: Having released an Air Force 1 High in 2017 and with a Low variant planned this month (it already dropped in Shanghai), A-COLD-WALL*’s collaboration with the Swoosh is extending into a multi-faceted partnership. 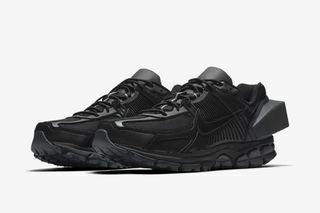 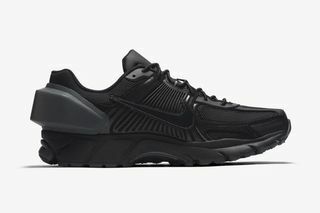 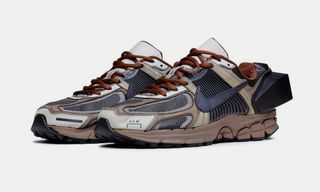 Front and center of designer Samuel Ross’ latest Nike collection is the Zoom Vomero +5, which arrives in two different colorways, both of which have been produced to discolor rapidly. 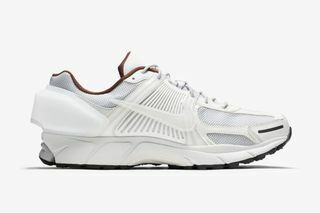 Ross has removed the sneaker’s PU coating to accelerate the aging process. 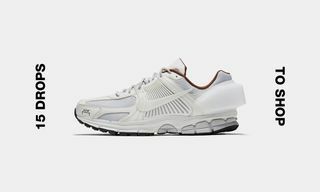 The sneaker’s exaggerated heel counter adds another dimension to the sneaker and is a design detail previously seen on the ADER Error x PUMA collection. 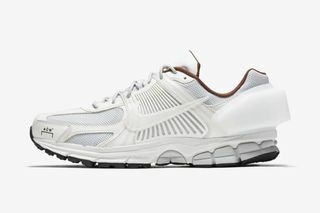 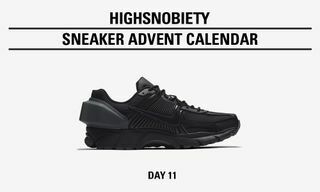 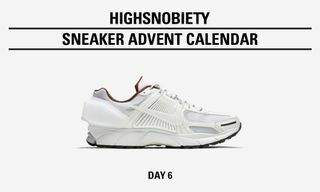 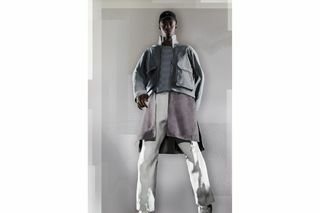 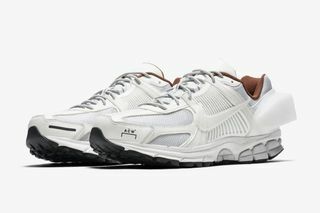 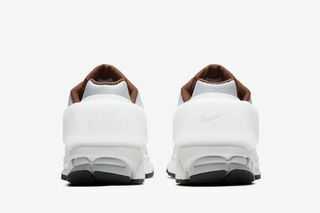 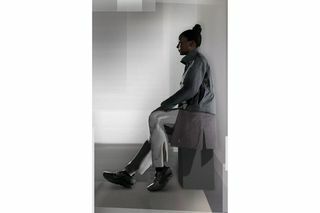 In addition to the sneakers, the collection includes a range of apparel that utilizes similarly inventive fabrics such as a technical Japanese nylon that softens when warm. 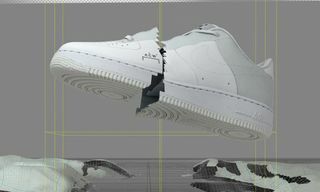 Check out the collection on the computer-generated models in the gallery above. 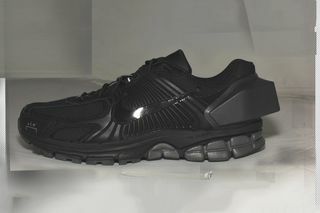 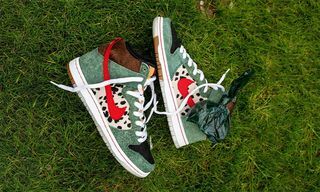 The sneakers first came out on November 17 in London ahead of a wider release on November 29. 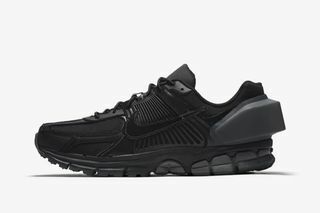 Nike will be dropping both colorways in the US tomorrow, December 13.